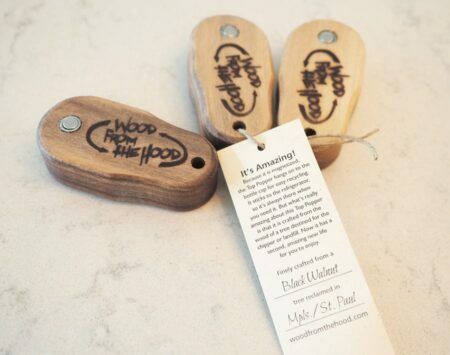 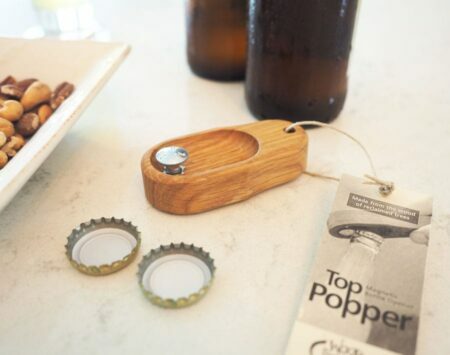 These pocket sized bottle openers will amaze you! Because it is magnetized, the Top Popper hangs on to the bottle cap for easy recycling. It sticks to the refrigerator, so it’s always there when you need it. 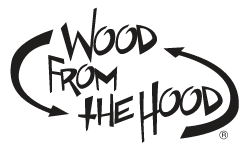 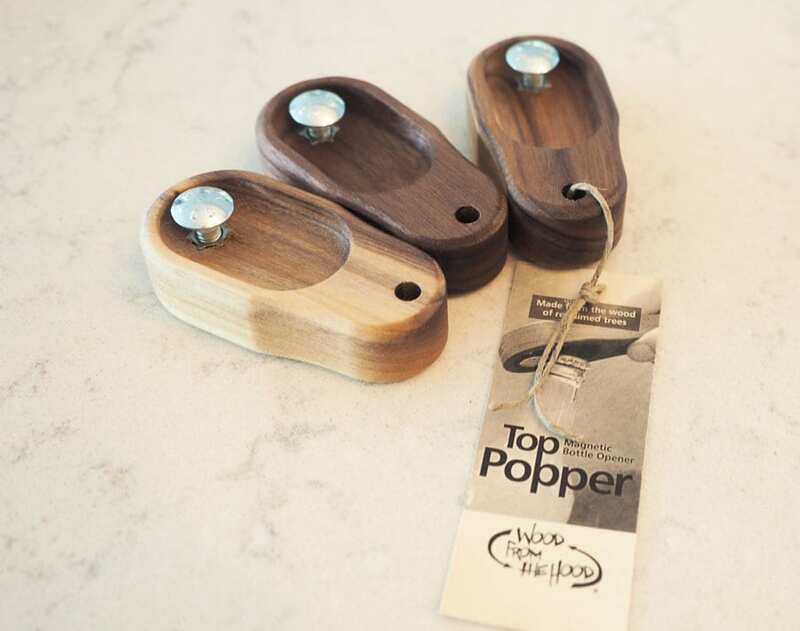 But what’s really amazing about this Top Popper is that it is crafted from the wood of a tree once destined for the chipper or landfill. 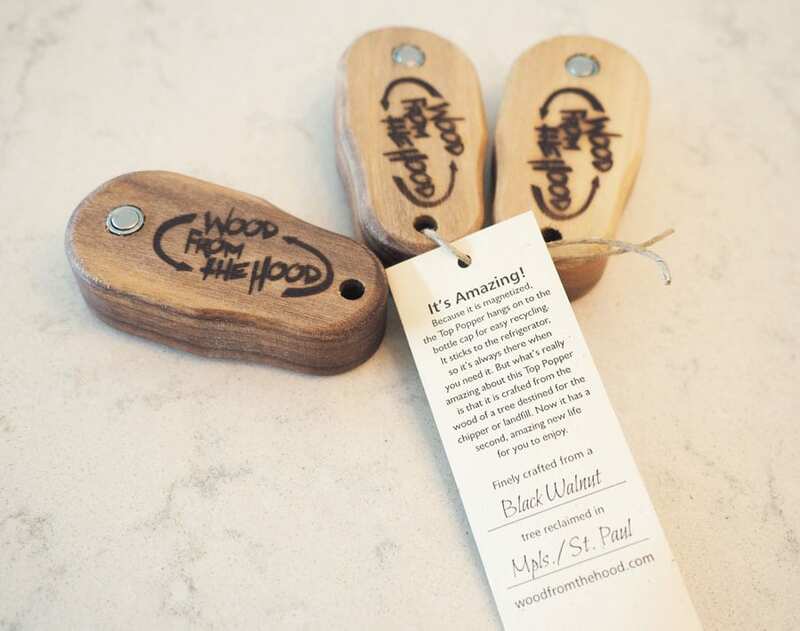 Now it has a second, amazing new life for you to enjoy. 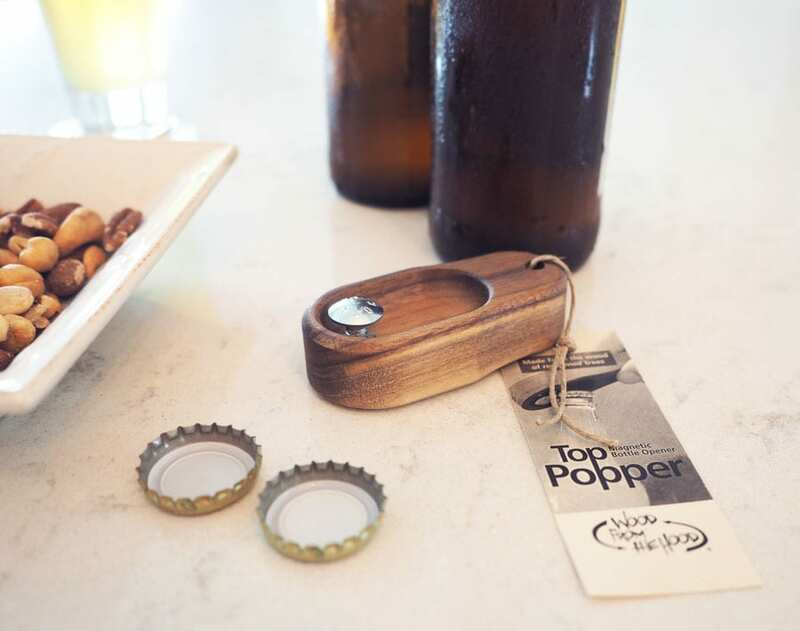 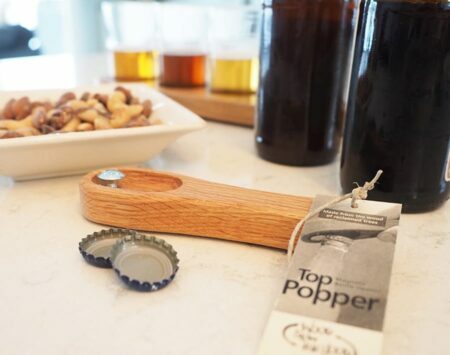 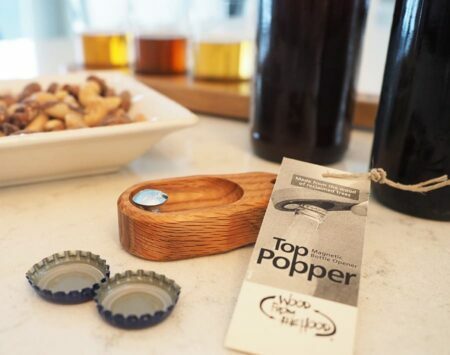 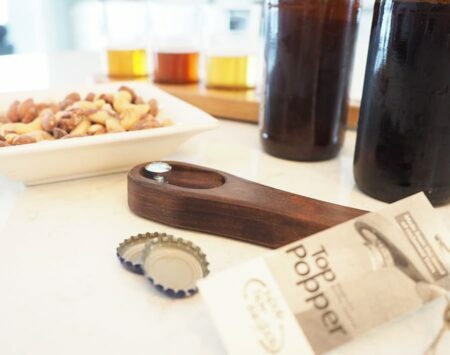 The Top Popper is a great gift for Dad, groomsmen, or any beer enthusiasts.